Tampa Bankruptcy Lawyer | Saint Petersburg Foreclosure Defense Attorney | Christie D. Arkovich, P.A. Contact Saint Petersburg Foreclosure Defense Attorney Christie D. Arkovich, P.A. Christie D. Arkovich, P.A. has been helping clients find solutions to reduce and eliminate all kinds of debt for over 25 years. This includes bankruptcy, student loans, consumer claims, debt relief, garnishment and foreclosure defense. Our office is located in South Tampa, Florida and we serve most of Western, Central and North Florida. We focus on a team approach with our clients. Part of our role is to educate our clients on their options, and what to do in the future to protect themselves from getting into situations that are out of their control. We actively blog and counsel our clients on new developments to proactively address debt and take control of their financial lives. The attorney you choose will affect the outcome of your case. When you hire an attorney, that relationship will last months if not years. It’s important to select someone you feel that you can talk to, who will listen and understand your situation as well as be knowledgeable in their areas of practice. Are you having problems paying your bills or faced with foreclosure? Bankruptcy can help. Start fresh. Low payments. Are you using one credit card to pay another? 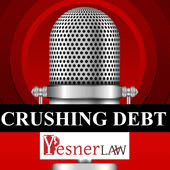 Do you need to stop a lawsuit, foreclosure, garnishment or repossession? Have you suffered the loss of a job, cut in pay, illness, divorce? Credit Report shows mortgage debt even after surrender or sale? Have you had a short sale or deed in lieu and the lender did not waive the deficiency owed? The next bubble is upon us - student loan defaults are the highest they have ever been and the amount of student loan debt has surpassed even credit card debt. 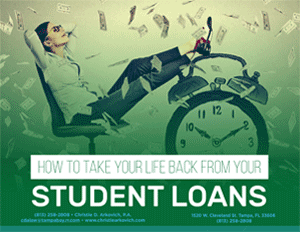 We have spent a great deal of time learning about all the student loan programs, payment options, possibilities when receiving debt collector calls and strategic planning. Back in the late 90s and early 2000s, Christie D. Arkovich was former trial counsel for several student loan servicers, including Sallie Mae, USA Funds, ECMC and TERI in student loan discharge bankruptcy proceedings. Ms. Arkovich is a frequent lecturer at continuing education courses for attorneys regarding student loans. She also writes a quarterly column for the local Tampa Bay Bankruptcy Bar Association called Student Loan Sidebar. We would also like to request your assistance in helping to get the word out to your friends and family that there are options to significantly reduce and even eliminate student loan debt --- and most of these options are never discussed by the loan servicers (who represent the creditor by the way, not the borrower). Most options have nothing to do with bankruptcy. Many clients who come and see us tell us they wish they had seen us years earlier. Please help spread the word with us, using Facebook, Twitter and whatever else you think of! Are you behind in your house payments and facing foreclosure? Are you having difficulty modifying your mortgage? Trying to buy time to complete a short sale? Worried about a deficiency judgment for the unpaid balance of the mortgage? We offer free consultations for foreclosure related issues and have reasonable payment plans. 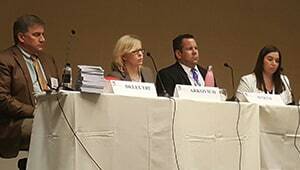 Ms. Arkovich has served as a panelist in various seminars for attorneys and paralegals helping to teach others how to defend foreclosure lawsuits. One such webinar is available through Westlaw. In the Spring of 2010, Aspatore Books, a Thomas Reuters company, published a book titled Negotiating Mortgage Modifications, in which Ms. Arkovich wrote a chapter on Modifying Mortgage Terms in a New Environment. She has assisted indigent clients free of charge through Bay Area Legal Services. The firm has litigated over a thousand foreclosure cases defending homeowner rights. Many of our clients do not need a bankruptcy or for some reason it does not make sense to file bankruptcy. Using an attorney to negotiate debt settlements or to raise defenses to credit card suits, deficiency lawsuits or garnishments can make a difference. Sometimes the old saying the “best defense is a good offense” rings true. We help to educate our clients as to what debt collection violations to look for and how to keep track of them. Consumer law violations lead to some of our best settlements. It’s also fun to prosecute these cases. Credit reporting agencies do not consider you to be their client. Their client is the data furnishers: the creditor, debt collector, loan servicer or debt buyer. Whatever erroneous information those agencies feed them, the credit reporting agencies add to your credit report. This affects you every single day in your interest rates, cost of credit, and even denial of credit or a home/apartment lease. Fight back! Do you know that 80% or more of the disputes you file are returned with an account noted as "verified" even though the dispute has merit and it should be removed. I guess that should not be surprising since either a computer AI is evaluating your dispute or a human on quota with less than one minute to review the dispute before it is boiled down to a three character code under E-Oscar. If all this is new or confusing to you, consider contacting us for a free consult. We'll review your credit report free of charge and if we see actionable errors that are costing you money, we will file the dispute free of charge and pursue an FCRA lawsuit for damages to you. Our fees are strictly contingent, meaning we only get paid upon a successful recovery from the other side. In our consumer practice, we are seeing a sharp increase in the number of long term care insurance claim denials - elderly clients who are not approved for an ALF, or home assistive care under policies where they have paid good money for decades only to be turned away now during their time of need. This was featured in a recent Wall Street Journal article as a widespread problem now that insurance companies are realizing that these policies are no longer profitable. Too bad, so sad, the insurance companies need to live up to their contractual obligations. We can help you see if legal action is warranted - we offer a free intake analysis and we represent our clients on a contingency basis. After years of helping our clients plan the best exit strategy for home purchases gone bad, lost income and other financial pitfalls, we have now put together a comprehensive team and resources to help our clients rebuild their credit and get on with their lives. 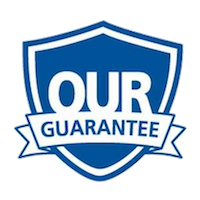 Our goal is to provide you with resources to clean up your credit to qualify for conventional lending, locate alternative financing, supply you with rent to own options etc. to get you into a home now while rates are low. FREE CONSULTATIONS (Can be by phone to save you the time and hassle of driving to our office – but if you do – our official greeter is Chloe! – our rescue cat who lives at our office so be sure and say “hi” if you are animal lover like us. And if you are allergic, we can put her in the back office no problem). We offer free half hour consultations for those with debt related or consumer issues such as bankruptcy, garnishment, creditor harassment, debt collection violations, deficiency defense and foreclosure defense. Why wait, it costs you nothing to see if something can be done in your situation. We represent clients primarily in the counties surrounding the Tampa Bay area, but we also serve all of Western, Central and often Northern Florida.